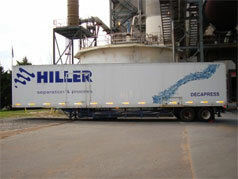 Hiller-US in Lampasas, Texas maintains complete mobile decanter centrifuge rental units for both short term and extended periods. 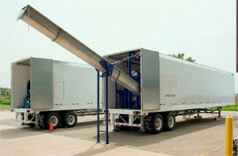 The portable systems feature 125-gpm Hiller DP45 production model centrifuges mounted in a standard semi-trailer with all the system controls and ancillary equipment such as polymer make-down units, feed pumps, and screw conveyor systems for removal of the dewatered bio-solids and / or sludge cake. 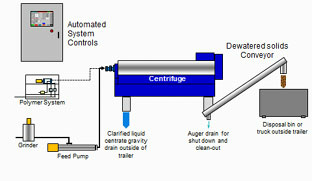 One (1) automated control system with PLC, panel view operator interface and scroll drive controller. 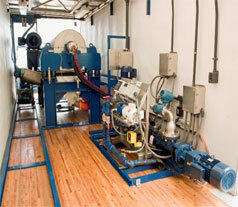 Other capacity and equipped rental units available. Please contact us for more information.